Singapore Airlines operates a regional subsidiary called SilkAir. 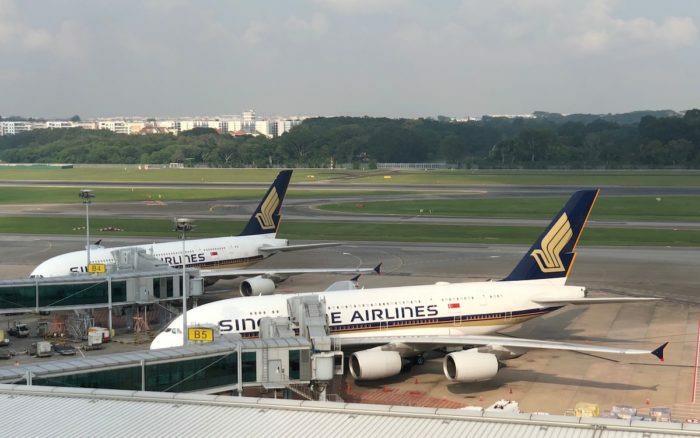 They operate short haul routes, primarily around Southeast Asia, to second and third tier destinations that Singapore Airlines mostly doesn’t fly to. So, for example, currently Singapore Airlines operates flights to Jakarta in Indonesia, while SilkAir operates flights to Jogjakarta in Indonesia. I’ve flown Singapore Airlines more times than I can remember (they operate something like 100 flights a week to Australia), and could name just about every SIA destination off the top of my head, but I’ve never flown SilkAir before. When I think about taking a one or two hour flight within Southeast Asia, I would struggle to pay the extra money to fly on SilkAir versus the dominant low cost carriers like Air Asia or Jetstar Asia, especially as SilkAir is not a member of Star Alliance, so Star Alliance status (aside from status directly with KrisFlyer) is not valid on SilkAir flights. SIA also operates a budget arm, Scoot. They used to also operate a second budget arm, Tigerair, but this has now been merged/folded into Scoot. Well ahead of the merging of the two brands, Singapore Airlines has announced some big changes to the SilkAir route network. They will transferring seventeen routes currently operated by SilkAir to their low cost division, Scoot, over a period from mid to late next year. SilkAir will be transferring 14 of its Boeing 737-800 to Scoot to operate these flights (presumably the crew are going with them too). I assume they will be reconfiguring these 737s with a much denser configuration, as Scoot does not have a premium class on their narrow body aircraft. SilkAir is continuing to receive new Boeing 737 MAX aircraft to grow their fleet. Although Scoot does not already operate the Boeing 737 aircraft, as a point of reference, Scoot’s Airbus A320s has 180 seats with a tight 28″ pitch, while SilkAir’ 737s only have 162 seats — 150 economy seats with 30″ of pitch as well as 12 business class (recliner) seats with 38″ of pitch. Scoot also operates long haul, low cost flights, and has announced they will be suspending services from Singapore to Honolulu, because of insufficient demand. SIA has said these various changes are all about sending the right aircraft and products to the right market ahead of the merger of SIA and SilkAir. Although it would certainly be a downgrade for any passengers booked on a full service SilkAir flight to wind up on a budget Scoot flight, it makes sense for the SIA group to have the right mix of brands prior to the merger of Singapore Airlines and SilkAir. If you are booked on a SilkAir (or Scoot) flight to one of the above destinations, check your booking over the next few weeks. Have you flown SilkAir or Scoot?